China’s PVC paste market remained sluggish in 2018. The average price in 2018 declined by 13.6% Y-O-Y. In addition to the continued supply surplus, the demand instability was also a major factor contributing to the low price of PVC paste. The downstream industries operated unsteadily due to environmental protection supervision and other reasons, resulting in a sluggish market in the peak season. As the surplus of PVC paste capacity was obvious and the demand has not changed significantly, the price of PVC paste remained low for a year even though the price of feedstock calcium carbide was firm. The producers faced losses, dragging down the operating rate. The average operating rate of PVC paste industry was 70% in 2018. Affecting by those unfavorable factors, can the planned new capacity be put into operation on schedule? In the case of negative profits, how will PVC paste producers develop in the future? Are there any new changes in import and export? SCI will show you the answers in this report. 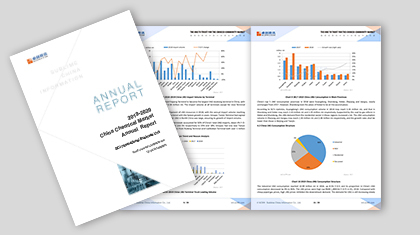 This report, based on 15 years of study and first-hand data collected by SCI, gives a detailed review of 2018 PVC paste market combined with macroeconomic policies, industrial characteristics, etc., analyses the supply and demand pattern, upstream and downstream markets linkage to combine graphic manner in detail, and prospects for future PVC paste market development, aiming to help market players grasp the market situation and future trend. 1. Presenting the capacity and output of China’s PVC paste producers in past 5 years. 2. Analyzing the driving factors of price change form multi-angles. Making objective assessment of PVC paste value chain. 3. Sorting out environmental protection and domestic policies systematically, helping you to understand the background of price changes from the macroscopic angle. 4. Fully presenting the whole situation of upstream feedstock and related products. 5. Analyzing integration of PVC paste enterprises, advantages and disadvantages of enterprises in regions comprehensively.